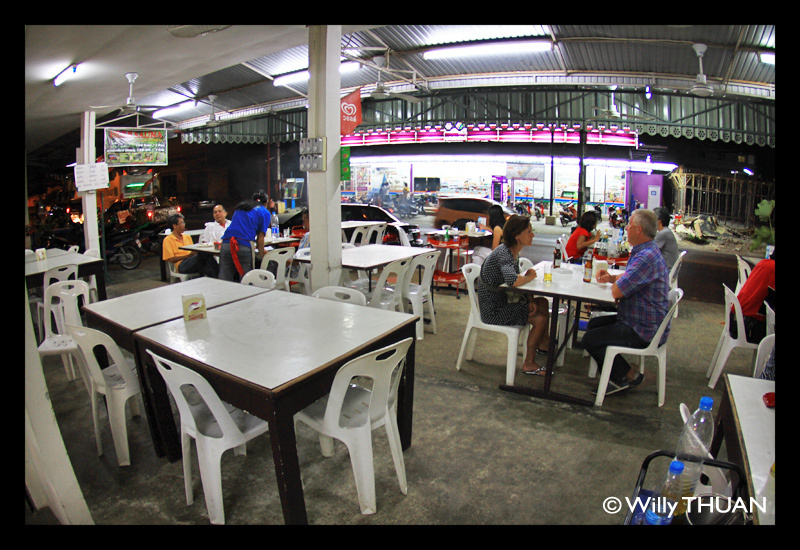 Nai Dam Restaurant in Kathu looks just like any restaurant by the roadside of Phuket. It’s not fancy, there are no exterior sign of luxury and even the restaurant signboard is hardly visible. 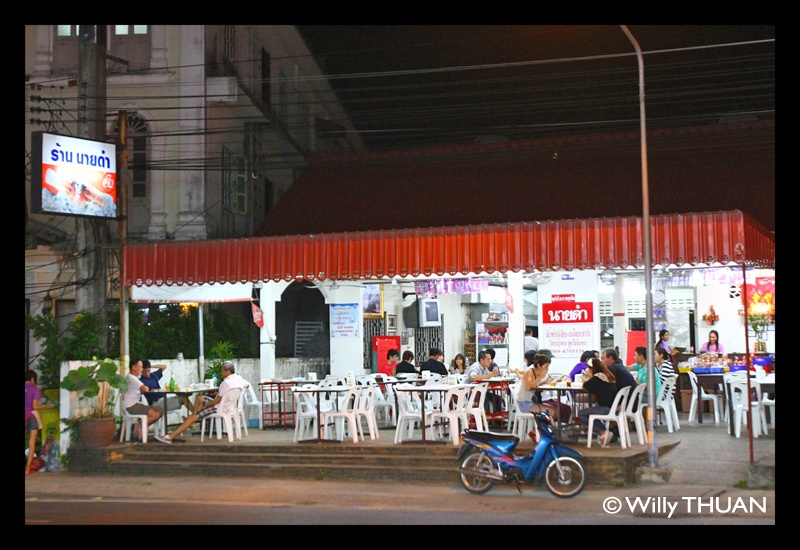 We are not easily impressed after trying so many restaurants all around Thailand, but on that day, we were! Nai Dam Restaurant is a great place for those who know and love real Thai food. 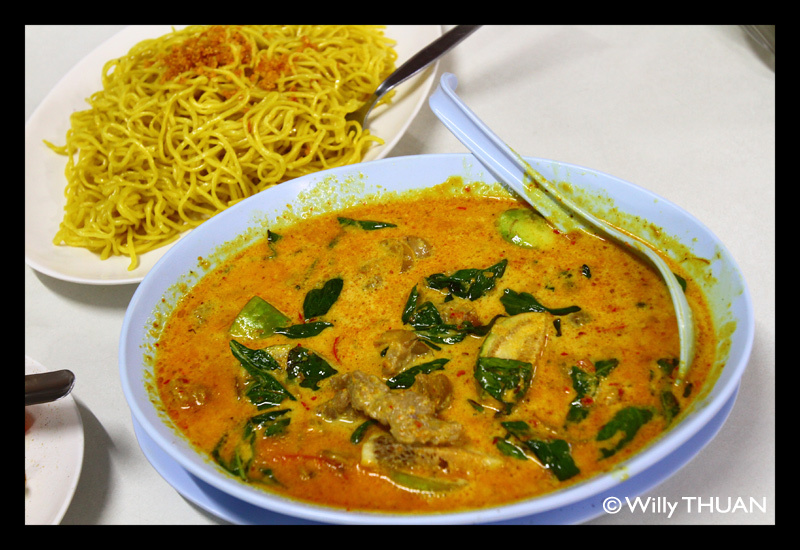 It is cheap and they have some really delicious dishes, including their very special wild boar in curry with yellow noodles. 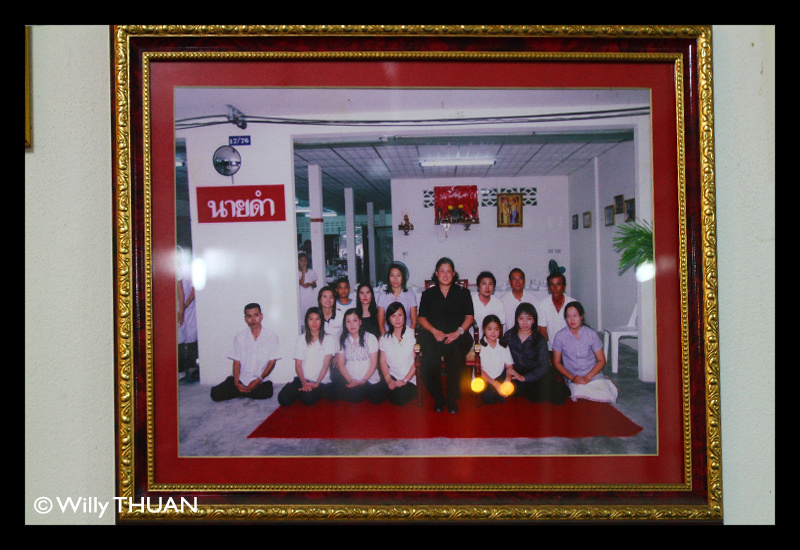 It’s so well known that even one of the Princesses, Her Royal Highness Princess Maha Chakri Sirindhorn, stopped over many times to eat at Nai Dam when visiting Phuket or Phang Nga. I have been there before, but was always too lazy to order something out of the ordinary. It was always good but not really worth writing about. But today we only ordered the house specialties and it was really excellent. 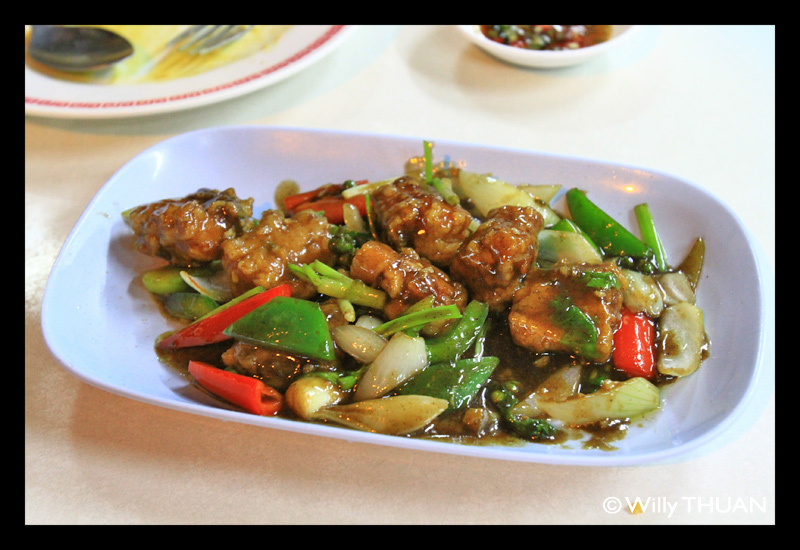 (ปลาสำลีผัดพริกไทยดำ – Pan fried cotton fish with pepper). 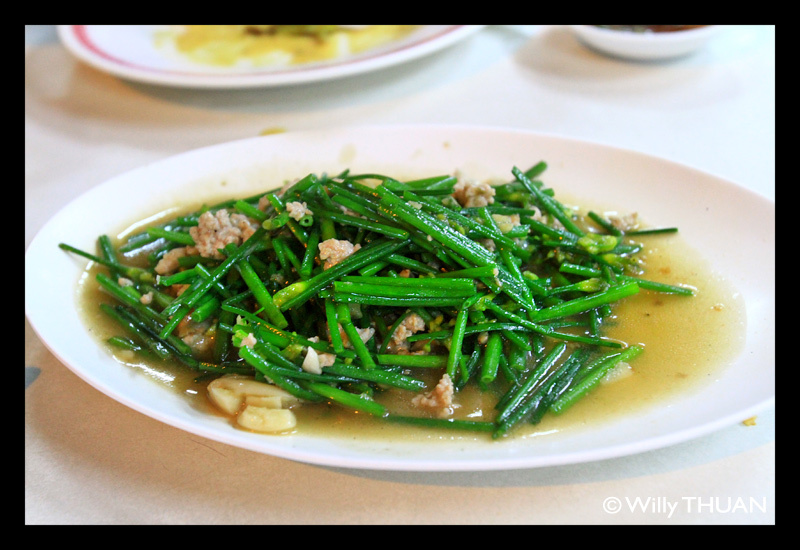 (ผัดดอกหอมหมูสับ Spring onion flowers fried with pork) you should really try this, it is sweet and you would never guess these are spring onions. It was hard to come up with attractive photos, since they didn’t bother with the restaurant atmosphere, but once you try the food, you won’t care much for the setting! 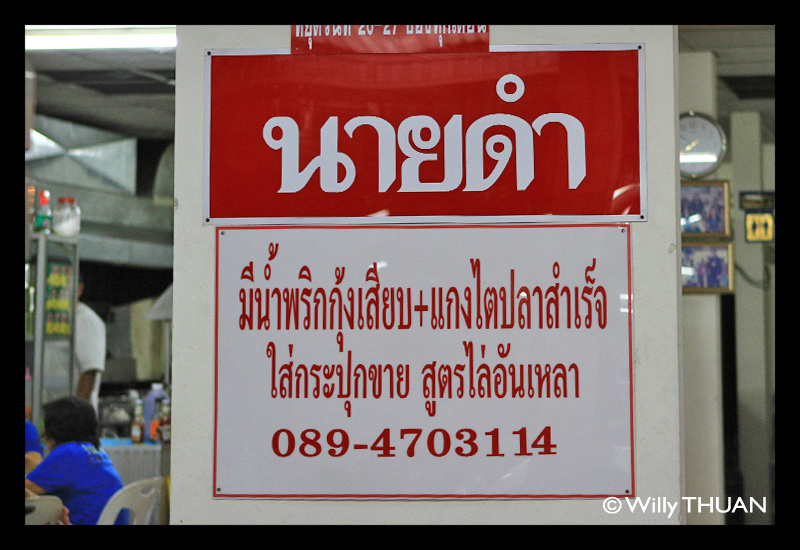 For the record, we paid 450 baht for three well served dishes and a beer. 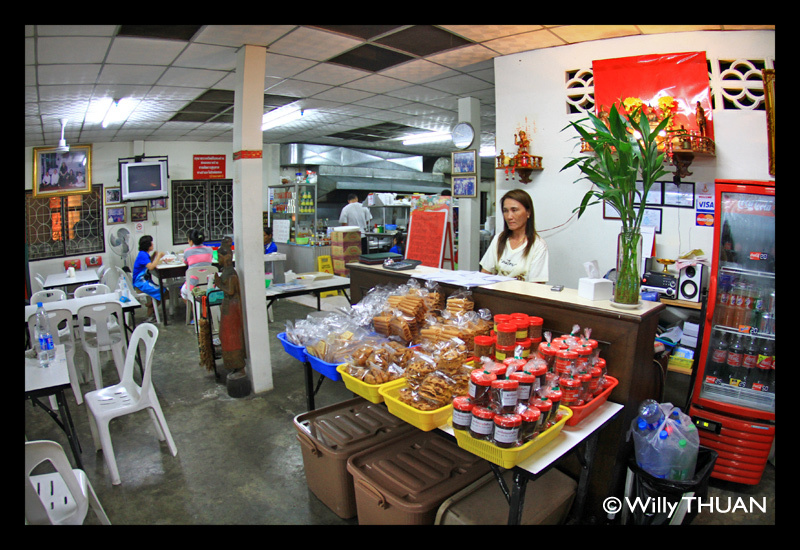 Nai Dam restaurant is easy to spot once you know where it is: opposite the new Supercheap convenience store in Kathu (photo), before the Caltex traffic light when coming from Phuket Town. Parking is easy.